It wasn’t easy by any stretch of the imagination, in fact, the Dolphins controlled the game for two and a half quarters. That’s why they play four quarters. That’s why you play until the final whistle. With 9:25 left in the 3rd quarter, the Miami Dolphins were up 17-0, but the Bengals stormed back to take the win, 27-17. The Bengals offense struggled to get anything going early on. On their very first possession, Andy Dalton had a pass tipped in the air and intercepted deep in Miami territory. Both offenses showed why they are ranked towards the bottom of the league as we would end the first quarter scoreless. The Miami Dolphins accumulated a measly 44 yards in the first quarter. The Bengals posted 108 yards, with the majority of those yards coming on one drive. Ryan Tannehill would break the ice, scoring on a 22-yard pass to Kenyan Drake in the corner of the end zone, with 7:22 left in the first half, putting the Dolphins in the lead, 7-0. 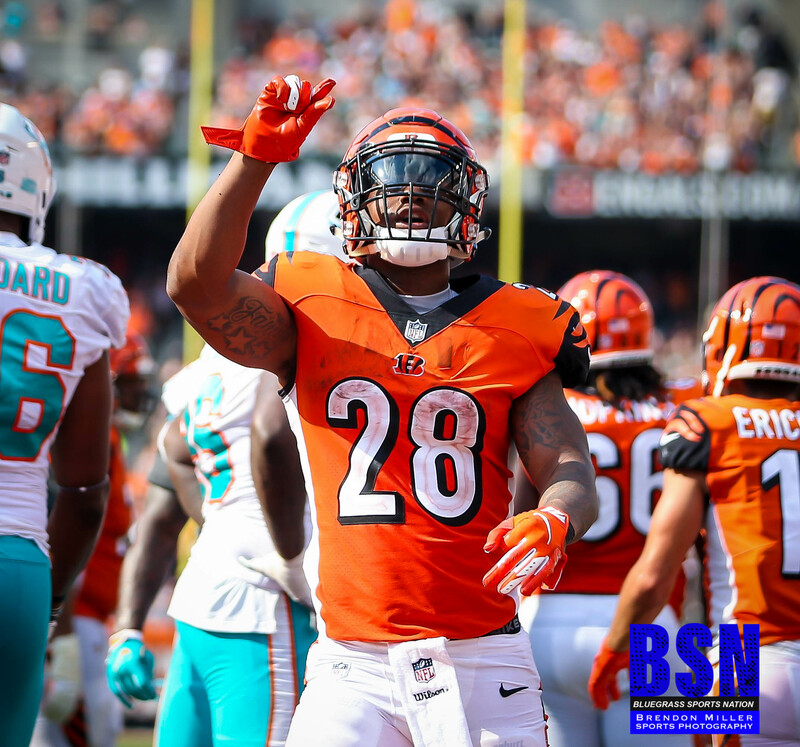 The Bengals would put another drive together deep into Miami territory that stalled out on a sack of Andy Dalton, and then Randy Bullock’s 40-yard field goal attempt was blocked by the Miami special team’s unit. Both offenses would again turn stagnate. The Bengals would attempt to milk the clock as they seemed content being down 7-0 after an abysmal first half offensively. The Miami Dolphins had other plans, however using a timeout to force the Bengals to punt with 23 seconds left in the half. The Miami Special Teams Unit would again make the Bengals pay as Jakeem Grant returned the punt for a 70-yard touchdown. The Jungle was silent as the Miami Dolphins took a 14-0 lead into the half. It wouldn’t take long for us to see what adjustments Marvin Lewis and the Bengals would make offensively as they would receive the opening kickoff of the second half. The first drive didn’t give the Bengal faithful much to cheer as they went three and out. The Dolphins would make their first drive count as they tacked on three more on a 42-yard field goal by Jason Sanders. The Bengals would finally scratch the scoreboard as Randy Bullock would connect on a 51-yard field goal. The teams would go to the 4th quarter with the score of 17-3. The opening play of the 4th quarter saw Andy Dalton make a “Brett Favre” type throw to Joe Mixon for a 19-yard touchdown. The scoring drive took 8 plays for 71 yards and 3:30 off the clock. The Bengals sliced into the Dolphins’ lead 17-10 and the flood gates would open. On the ensuing drive the Miami Dolphins would commit the ultimate sin when leading in the 4th quarter as Ryan Tannehill was be picked off by Michael Johnson who returned it for a 22-yard touchdown. What once was a game that the Dolphins had in their hands was knotted up at 17. From that point on it was all Bengals as they scored 27 unanswered to secure a 27-17 come from behind victory. In the win, two Bengal records were broken. A.J. Green achieved his 32nd career 100 yard receiving game breaking Chad Johnson’s record of 31. Andy Dalton also broke a record for most comeback victories for a Bengals quarterback. The previous record was held by Boomer Esiason who had 22 come from behind victories. Today marked Dalton’s 23 comeback victory. Joe Mixon was the bell cow as he rushed for 93 yards on 22 carries and had 3 receptions for 22 yards and a touchdown. Although most accolades go to the offensive side of the ball, today’s MVP must be the Bengals Defense. In the second half they only allowed three points, forced three turnovers, and scored two touchdowns. Sam Hubbard scooped and scored on a Ryan Tannehill fumble that put the game out of reach late in the fourth quarter. Jessie Bates would seal the deal with an interception deep in Bengal territory. Vontaze Burfict showed no rust from a four-game suspension as he finished second in tackles for the Bengals. 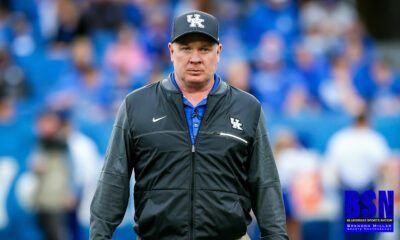 The Cincinnati Defense only allowed 122 yards in the second half. 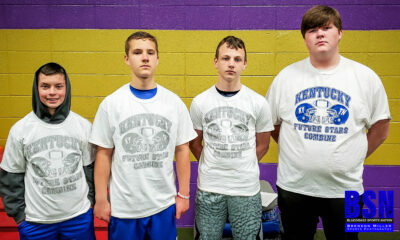 LIKING our Facebook page, and visiting our website daily at www.bluegrasssportsnation.com. We are your Eastern Kentucky source for Bengals coverage.